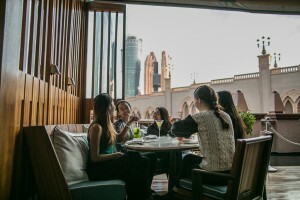 Brunch at Hakkasan takes place every Friday and guests are invited to unwind after a long week in the main restaurant, Ling Ling Lounge, or a beautiful outdoor terrace with a spectacular Abu Dhabi skyline. To start, choose from a selection of steamed, baked and fried dim sum, including Har gau and Scallop shumai. For the main course, guests can sample delicate Peking duck alongside dishes from the brunch menu. To finish, there is a selection of handcrafted miniature desserts available.